Andrew Keiswetter, of LivWell, asked us to recognize Stephanie Sandoval, and we agree! 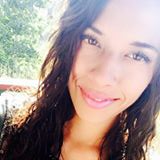 He says: “I would like to recommend Stephanie Sandoval. She is one of our long time retail employees. She started as a BT over 4 years ago and now helps manage all company training and on-boarding. 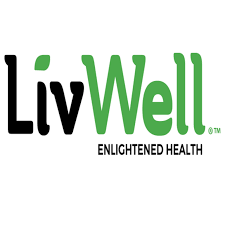 She has an extensive training background which she has put into use here at LivWell with LivWell University. Stephanie is a wealth of cannabis knowledge as well as customer service, and new hire training. 1. What do you love about the cannabis industry? Ironically enough, when I first moved out to Colorado it was not to join the marijuana industry. But, when my boyfriend at the time got diagnosed with MS, I saw his life start to slowly deteriorate from pharmaceuticals. The medicine that gave him wings was taking away the sky. That’s when I knew I had to do something, and made the switch to the cannabis industry. When I saw that cannabis was working for the person I loved on not only on a physical level, but also on a mental one, I became very passionate about cannabis. I wanted to learn it all. So, even with the tough transition, when I get asked what I love about the cannabis industry I must say I love it all. The products, the culture that comes with it, and of course the people. It’s an industry made up of unique individuals who are passionate about shaping history. There’s a special camaraderie in the industry that no one can take away. We are the forefront of this amazing movement, and we are shifting people’s perception on marijuana through education. 2. How do you help create a positive effect and inspire others in the cannabis industry? First off, I would like to say that I am lucky to work for such an amazing company alongside some very innovative and driven people that are doing big things for the cannabis industry. I couldn’t do what I do without them. It’s very much a collaborative effort. I helped develop and implement the training program we are currently using, and to see how far it’s come is something I am very proud of. LivWell University is a two week course that helps get new employees on-boarded in a way where they feel that they are set up for success. My colleagues and I are there to greet them on their first day of their new job. We teach them everything: from laws and regulations down to terpene profiles and binding affinities. We remind new employees that we value their ideas, and encourage them to move in any direction that inspires them. Money will follow passion, and they can do anything they want to do if they put their mind to it, especially in an industry like ours because there is no other industry like ours. This industry fills me with gratitude and a sense of purpose that I try to exude in all my interactions with our new hires. We create an approachable space for them to be curious and ask questions, which I feel gives them the support they need to see the cannabis industry from a new perspective.